I have lightened my Virago 250 a little, it weighs about the same as the bike I drove when I was 16 – a Honda CB-160. 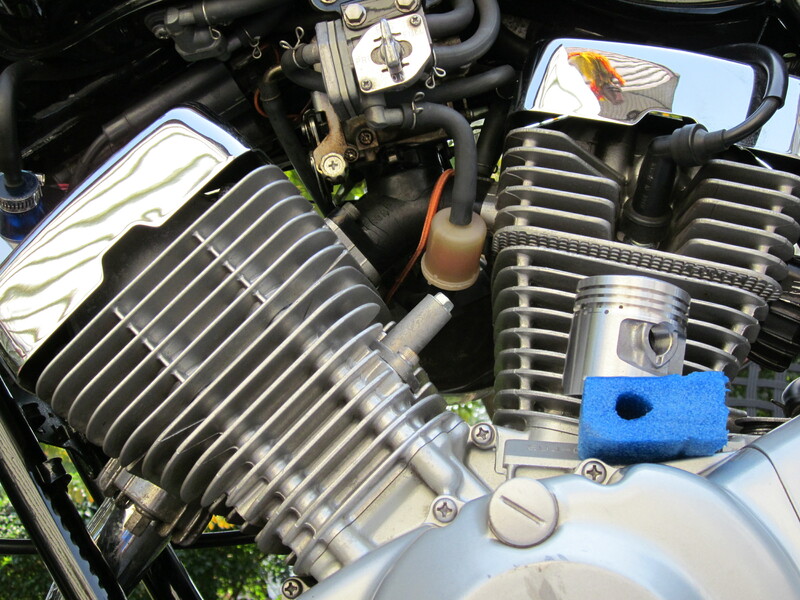 The Virago is a long stroke engine, and its pistons are almost the same size as the CB-160 pistons. This is the bike I drove when I was 16. 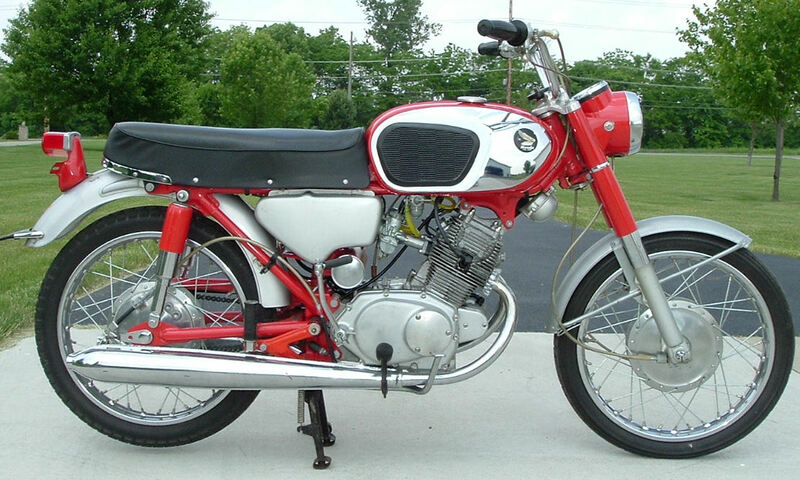 The CB-160 was a very popular lightweight bike in the 1960’s (it might have been the most popular – I’m not sure). In my hometown ( Okeechobee, FL), the CB-160 was considered to be a bigger bike than it would be today. A lot of young people drove Honda Sport 50’s, 90’s, and Super 90’s. Since I weigh a lot more than when I was 16, my Virago 250 is not much faster than my CB-160 (only about 10% faster). Horsepower comparisons are mis-leading, the long stroke Virago 250 has relatively more mid-range torque than the CB-160. If the Virago 250 was a vertical twin similar to the CB-160, it would have about 13.9 ft-lbs @ 8,500 rpm. Very good mid-range torque is the reason that a Virago 250 accelerates a little stronger than you might expect. On a CB-160, 60 mph was 7,100 rpm (approx), 70 mph was 8,200 rpm, top speed for a good-running one was 85 mph which was 10,000 rpm, in my hometown Johnny S. had one (completely stock) that would do 102 mph which was 12,000 rpm. At 14,000 miles it blew up, and after Johnny rebuilt it, it had the same top speed as any other CB-160 (82 to 85 mph). On my Virago 250 (sprockets not stock), 60 mph is 5,100 rpm, 70 mph is 6,000 rpm, and top speed on level ground is at least 85 mph which is 7,300 rpm. -Les S.
This entry was posted in Motorcycles and tagged CB-160, V-Star 250, V-Twin, vintage motorcycle, Virago 250, Virago 250 updates. Bookmark the permalink.